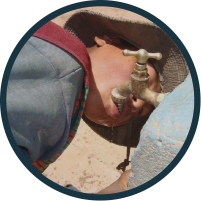 While much of La Paz and greater Bolivia are struggling with an intense drought, Jancko Marca is working to alleviate the burden on its community members by partnering with Engineers in Action and the Southern Illinois University-Carbondale chapter of EWB-USA to identify a permanent, safe solution that will provide sanitary, easily-accessible water to the entire community, including the local school. Unfortunately, students are currently forced to leave school during the dry season because of the school’s lack of water infrastructure. Community members rallied together to raise funds to purchase small tanks and tarps for the school, but it isn’t enough. 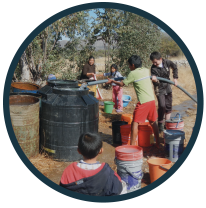 In addition to providing the school with water access, the entire community will benefit from a permanent water source. Like EIA’s other projects, community members will own the improvements and be taught the skills to maintain the implementations, encouraging use and upkeep while simultaneously building local capacity. Click here to read the full Jancko Marca application.